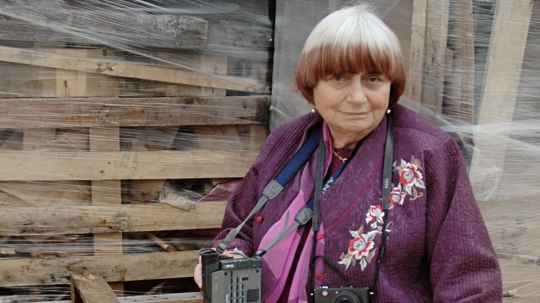 It was morning in Paris when news of Agnès Varda’s death reached the world. On a hunch, I left the apartment I shared with my girlfriend in the city’s 5th arrondissement and walked the 30 minutes, past the hordes of tourists cramming into the skull-stacked Paris Catacombs, to reach Rue Daguerre in the Montparnasse neighborhood, where Varda had lived since 1951. This is where Varda and her husband, fellow French New Wave filmmaker Jacques Demy, had purchased a derelict pink storefront and turned it into the production house Tamaris Films, later renamed Ciné-Tamaris, so they could produce Varda’s first film La Pointe Courte in 1954. The pair moved into the tucked-away apartment/studio complex and quickly became fixtures of the neighborhood, spreading art, whimsy, and cats around their tiny world (although the building’s exterior remained in poor shape, with paint perpetually peeling and the roof leaking).